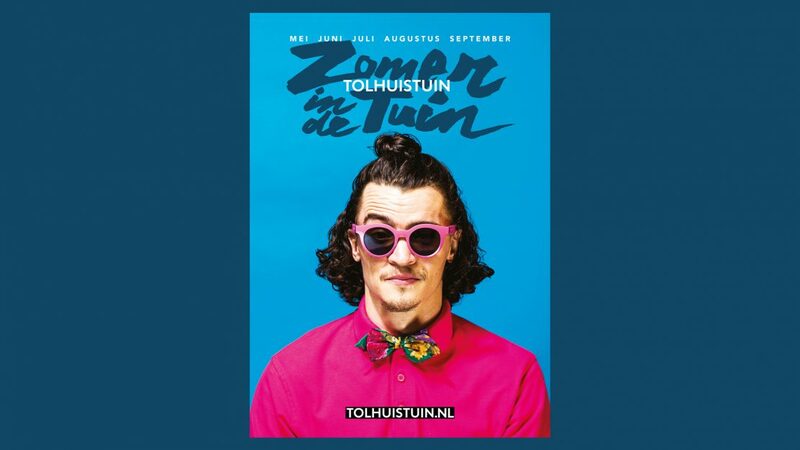 Tolhuistuin (‘tollhouse garden’) is an indoor and outdoor venue in Amsterdam-Noord. 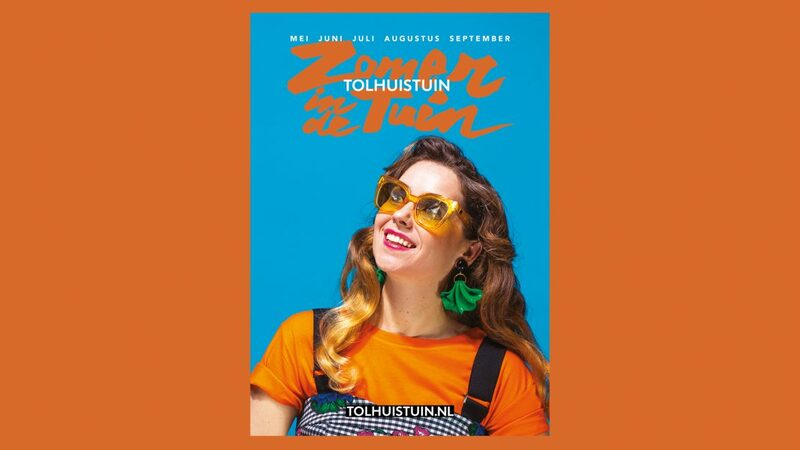 Half a dozen key partners and artists-in-residence from its 2018’s summer schedule are featured in a colourful and cheerful print and online campaign. 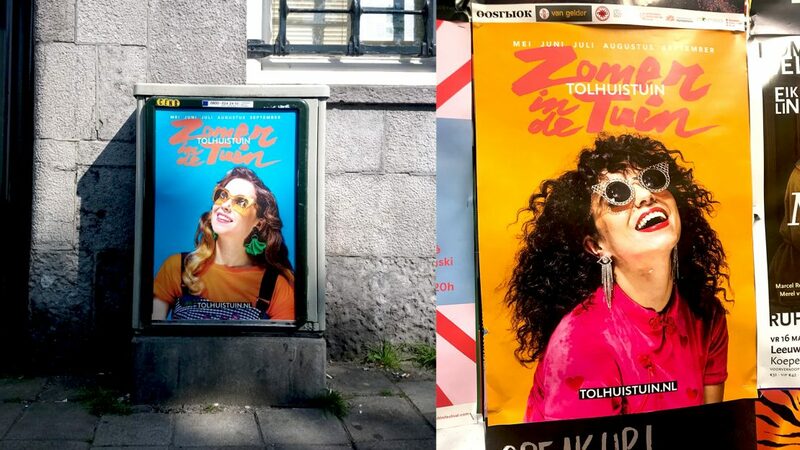 A series of bright, stylish and summery portraits show the artists and programmers positively beaming while wearing a fantastic selection of sunglasses. 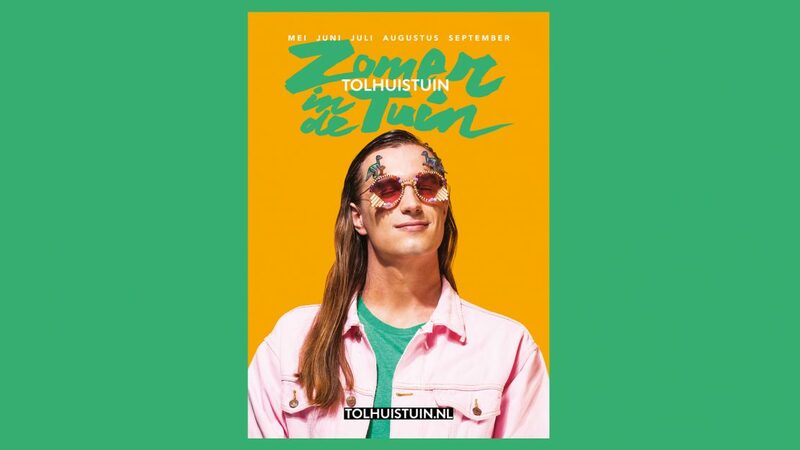 Coupled with a bleepy soundtrack, a cool logotype and some wacky animations, a relatively small and quick production turns into a striking campaign for one of Amsterdam’s coolest culture hubs. 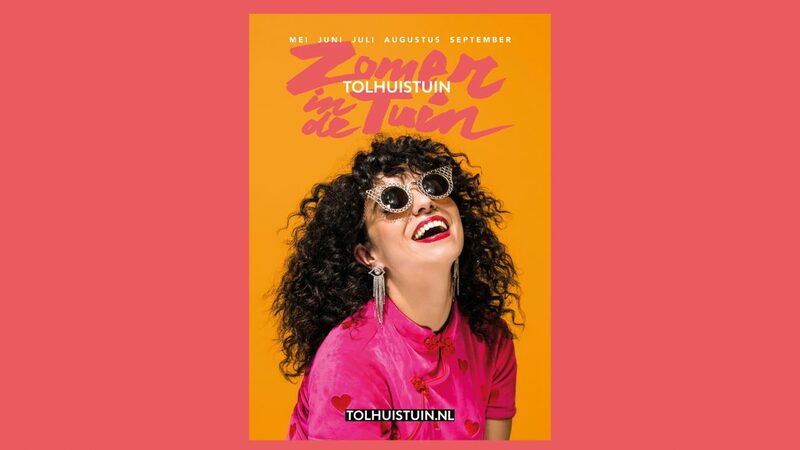 The Zomer in de Tuin campaign was conceived by New Amsterdam creative director Giuseppe du Crocq, who is quick to stress that the whole thing was very much a group effort—with a lot of freedom for everyone involved. 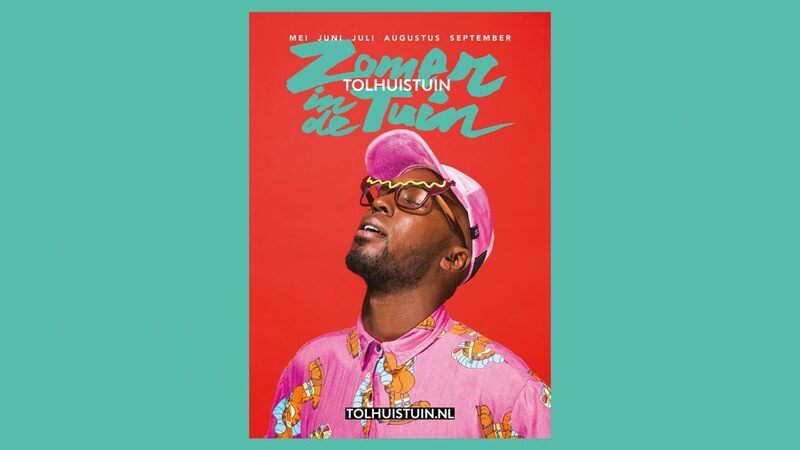 Giuseppe approached the artist Brian Elstak for the typeface, photography duo Vilain & Gai created the images, hip-hop producer Hayzee delivered the beat and Botoboto made the slightly psychedelic animations. 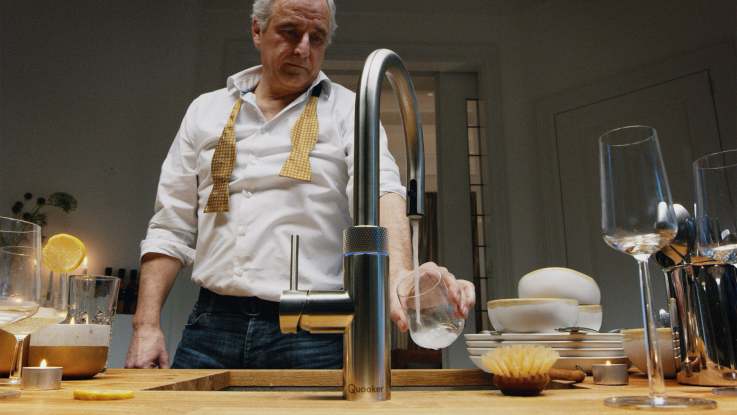 ‘Let everyone do their thing and see what happens,’ is how he describes the process, which was ‘quick, low-budget and embraced with a lot of enthusiasm’. 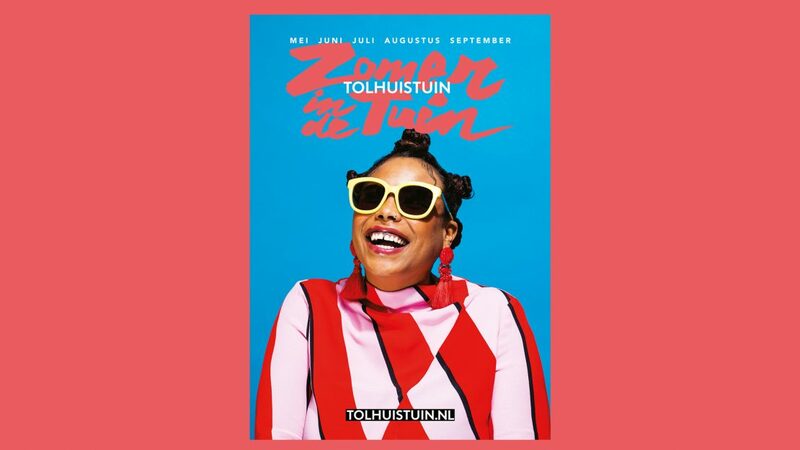 In addition to social media and an outdoor poster campaign, Zomer in de Tuin (‘summer in the garden’) includes a monthly fold-out poster/zine which includes the Tolhuistuin listings as well as interviews.